TPTS is coming to a city near you. Click here to read the TPTS interview featured on Music Fest News. TPTS is excited to be playing at 2018's Orange Blossom Jamboree on May 17-20! The festival will feature other artists such as Bobby Lee Rodgers and Holey Miss Moley. Click the photo above for more info about this year's festival! TPTS was featured on Huffington Post, in a review of the new single 'My Friends' - check it out HERE. WMNF is relaunching the Tropical Heatwave as a rock cruise, and it is sure to be a good time. Make sure to get tickets to TPTS perform two days while also traveling to Cozumel, Mexico! 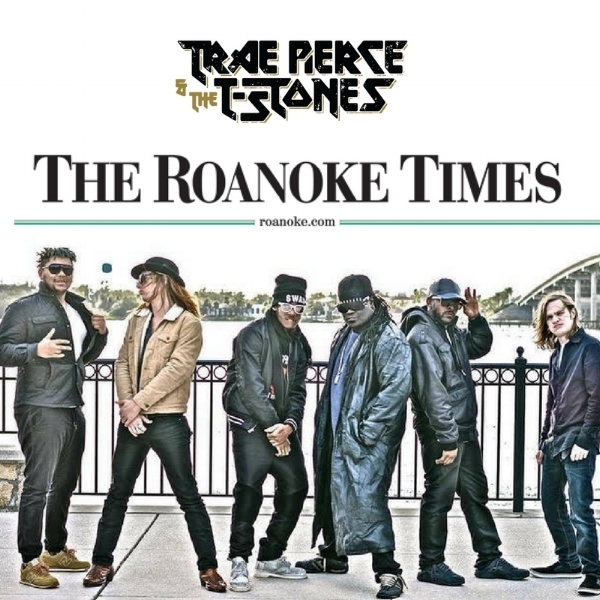 Click the image above to read the great article about TPTS's history and return to Roanoke. ©2016 Trae Pierce & the T-Stone Band. All Rights Reserved.